SIV is a general Windows utility for displaying lots of useful Windows, Network and hardware info – CPU info, PCI info, PCMCIA info, USB info SMBus info, SPD info, Machine Info, Hardware Sensors, Networked computers, Operating System Information and more. Uses pcidevs.txt for the PCI devices, usbdevs.txt for the USB devices, mondevs.txt for monitor descriptions and pcmdevs.txt for PCMCIA device descriptions. 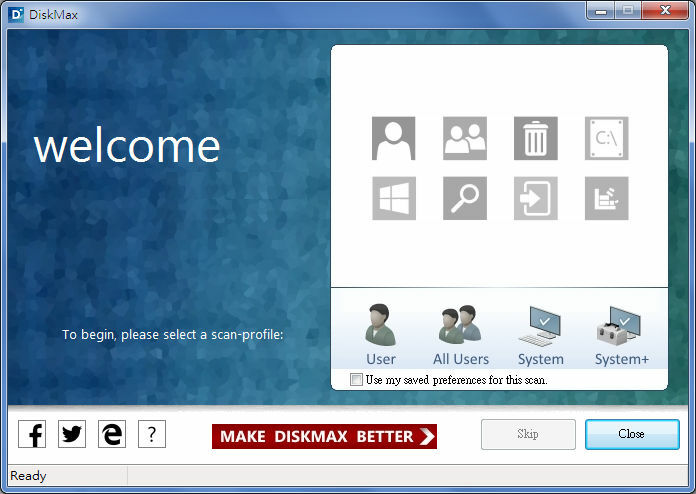 DriveInfo, as its name clearly indicates, is a small application that helps users view details of the drives in their computers. It displays the used and free spaces on drives, and users may choose to display information about all drives or hide some. It detects removable drives attached to a computer and places an Eject button next to the drives. DriveInfo performs other tasks like viewing system uptime, changing colors or themes of the interface and capturing desired parts of the screen. The included Zoom tool magnifies required parts to make them more visible. The application also provides shortcuts to Web pages, folders and applications. It can as well help in adjusting power options and viewing the internal IP address of a computer. 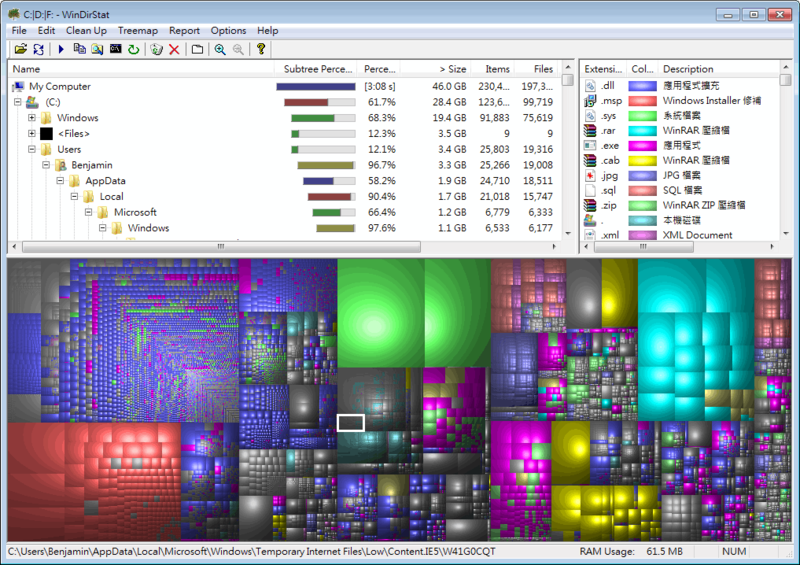 WinDirStat is an open-source disk usage analyzer and cleanup tool for various versions of Microsoft Windows. 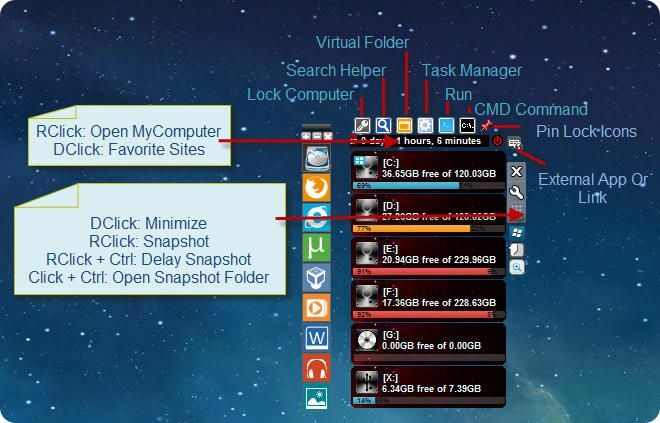 It will analyze any drive or directory that you choose and then provide you with a visual display of all your files. WinDirStat assigns each file type a color depending on how much space it is taking up, allowing you at a glance to see which file type is taking up the most space. So for example, the files taking up most of the room on your drive or directory are blue by default. On start up, it reads the whole directory tree once and then presents it in three useful views: The directory list, which resembles the tree view of the Windows Explorer but is sorted by file/subtree size. The treemap, which shows the whole contents of the directory tree straight away. The extension list, which serves as a legend and shows statistics about the file types.